The famed English author, poet, and literary critic Samuel Johnson once said that “when a man is tired of London, he is tired of life; for there is in London all that life can afford.” Say this in 2017 and it still holds true, as London continues being one of the most visited cities in the world. Known for its amazing bridges, modern buildings, and beautiful historic landmarks such as the Tower of London, Westminster Abbey, Houses of Parliament, and Buckingham Palace, London feels like the center of the world and, according to some, it is the world’s financial capital. While most people will tell you that London is one great big city, the truth is that there is one more London that it is inside of London. The City of London situated within the city called London is actually the original London. However, to make things clearer, we need to go back nearly 2,000 years in history, to when the Romans invaded Britain and founded the settlement of Londinium. 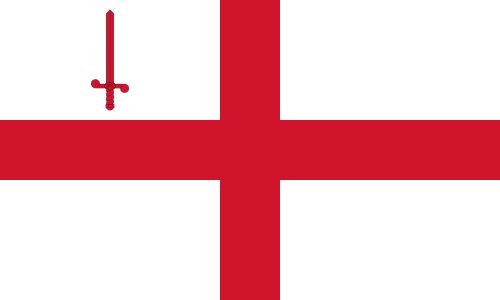 Flag of the City of London. When the Romans arrived in Britain in 43 AD, there was no permanent settlement on the site of the City of London but it didn’t take long before Londinium was established. 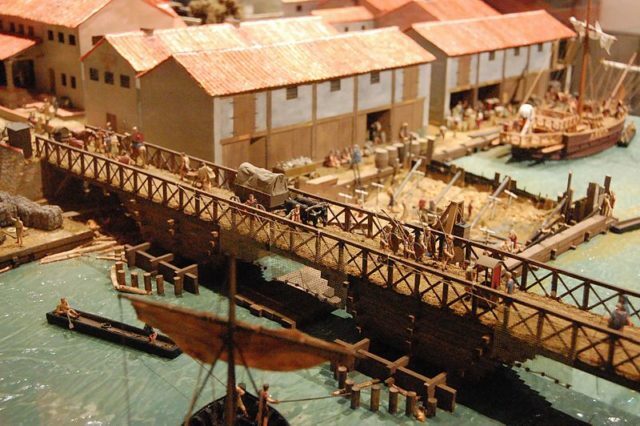 Its access to the River Thames transformed the new settlement into an important trading center. The town began growing rapidly. About two centuries after its establishment, Londinium was already a large Roman city, with a population of over 10,000 people. 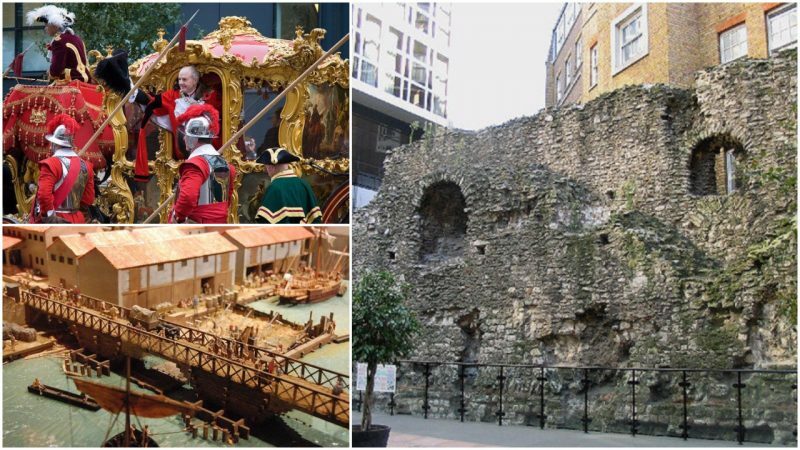 It was one of the most important trade centers in the Roman Empire, and the Romans took good care of it, constructing forts for protection, including the gigantic London Wall, parts of which can be still seen today. 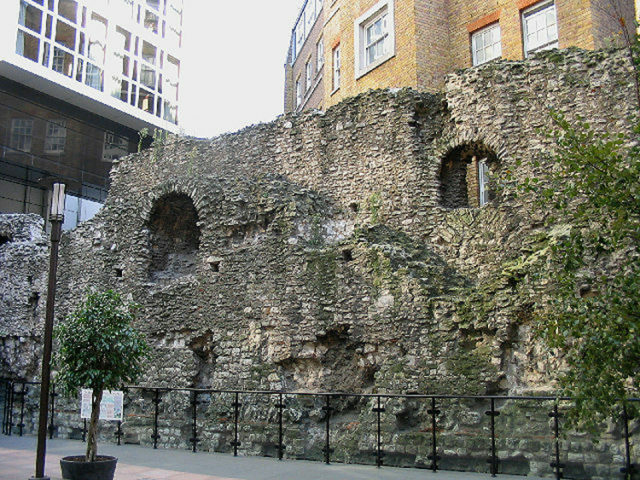 The London Wall defined the shape and size of the city. But what is more interesting, the City of London remained within the wall over the course of more than 18 centuries and didn’t extend beyond. Life in Londinium continued after the Romans left and even though the city experienced some hard times and fell into a decline, its location proved to be so good, it was brought back to its former glory. Trade thrived again and the city grew both economically and in population. The prosperous trading center didn’t go unnoticed by William the Conqueror, who decided not to attack it and instead came in a friendly fashion to London, offering its citizens some privileges and recognizing their liberties, but in return, they were asked to recognize him as the new King. The citizens of London did recognize William the Conqueror as the new King and gained their authority and liberties. Throughout the years, many monarchs rose and fell, but the City of London and the liberties of its citizens remained intact. Although some monarchs saw the city as a threat, thinking that it was too independent, powerful, and rich, none of them made an attempt to subordinate the City of London to its rule. The area was not dependent on another power and it had the sovereignty to govern, tax, and judge itself. Westminster was built nearby with the purpose of competing with the powerful City of London and this was when the second London was born. The new city expanded rapidly and it eventually surrounded the City of London. By 1889 the County of London was formed and the name was more often used for the larger area that surrounded the original City of London. 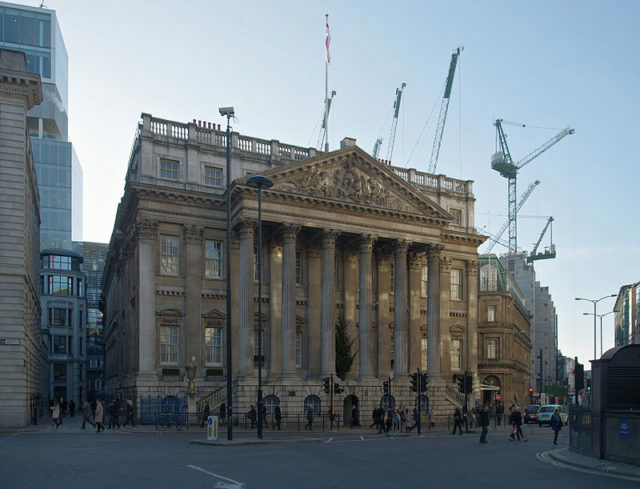 The City of London continued functioning independently, governed by a Corporation even after 1965, when the County of London and the County of Middlesex were abolished and Greater London was formed. The mayor of Greater London has nothing to do with the original City of London, which still has separate governing bodies and a mayor. In fact, the City of London is so independent that it has its own flag, crest, police force, ceremonial armed forces, and a mayor who has a special title, the Right Honorable, the Lord Mayor of London. 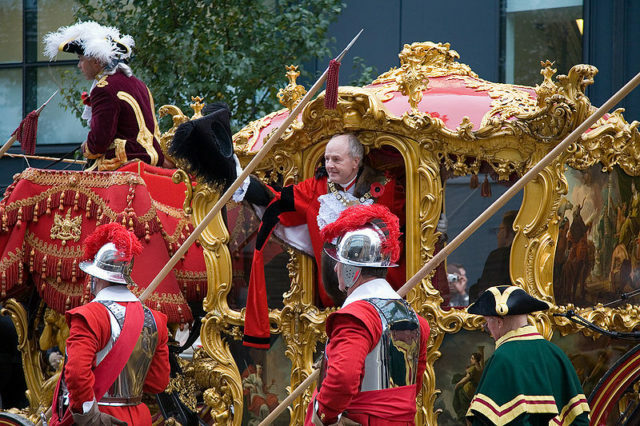 Oddly enough, if the monarch wants to enter the City of London, she first must ask the Lord Mayor for permission. 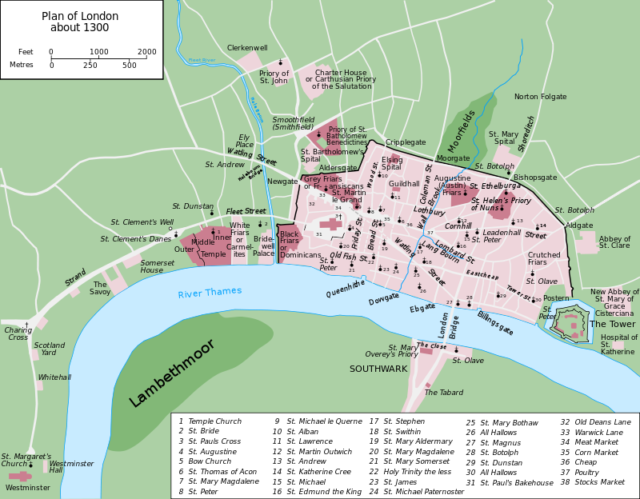 As of the 2011 census, the City of London has a population of 8,072 and area of 1.12 square miles. Considering everything, one might conclude that the City of London is an independent nation, but in fact, it is just a place with a unique history.